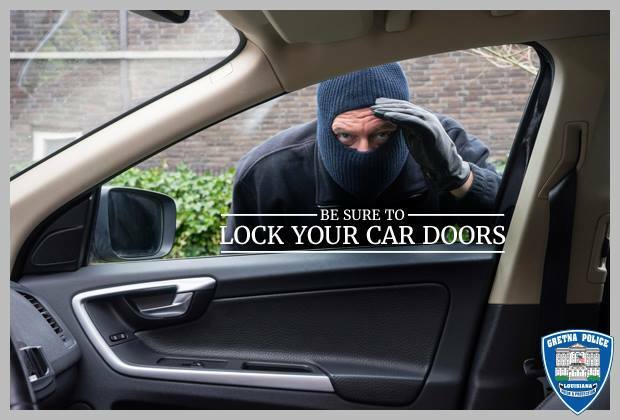 A simple message but oh so important… Car burglaries are on the rise this time of year due to people leaving their car doors unlocked. Thieves go through at night checking every car in the neighborhood, often wearing masks to avoid security cameras. If your car is locked, they move on. It’s simple, lock your car doors and you can be sure to keep what’s yours!